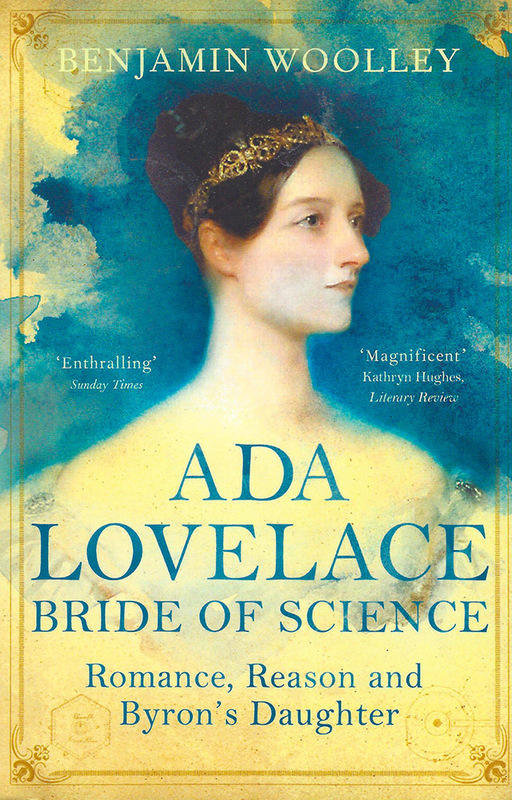 Ada Lovelace, the daughter of Lord Byron was born in 1815 just after the Battle of Waterloo, and died aged 36, soon after the Great Exhibition of 1851. She was connected with some of the most influential and colourful characters of the age: Charles Dickens, Michael Faraday, Charles Darwin and Charles Babbage. It was her work with Babbage that led to her being credited with the invention of computer programming and to her name being adopted for the programming language that controls the US military machine. Ada personified the seismic historical changes taking place over her lifetime. This was the era when fissures began to open up in culture: romance split away from reason, instinct from intellect, art from science. Ada came to embody these new polarities and her life heralded a new era: the machine age. ’Tis strange, but true, for truth is always strange, stranger than fiction. During the 1970s and 1980s, as the Cold War continued to cast a chill across the globe, America’s war machine was controlled by a programming language called Ada. Designed to replace the Babel of incompatible languages used by the US Department of Defense, its name was usually taken to be an acronym, like FORTRAN or COBOL. Few suspected that, were the automated nuclear arsenal of the most powerful nation in the world to be deployed, it would be in the name of the celebrated daughter of an eighteenth-century Romantic poet. 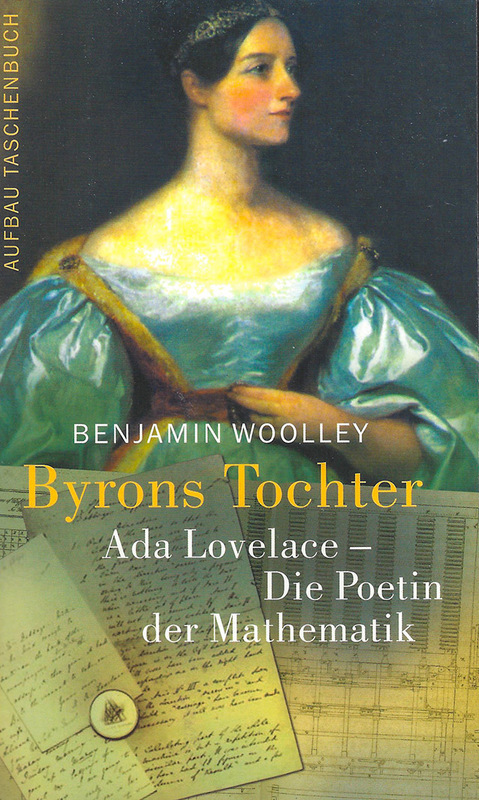 Ada Lovelace was the daughter of Lord Byron, one of the world’s first true celebrities, a man whose poetry was read and likeness seen by everyone – except by her, for she was not allowed unsupervised access to his poetry or portrait until she reached her twentieth year. 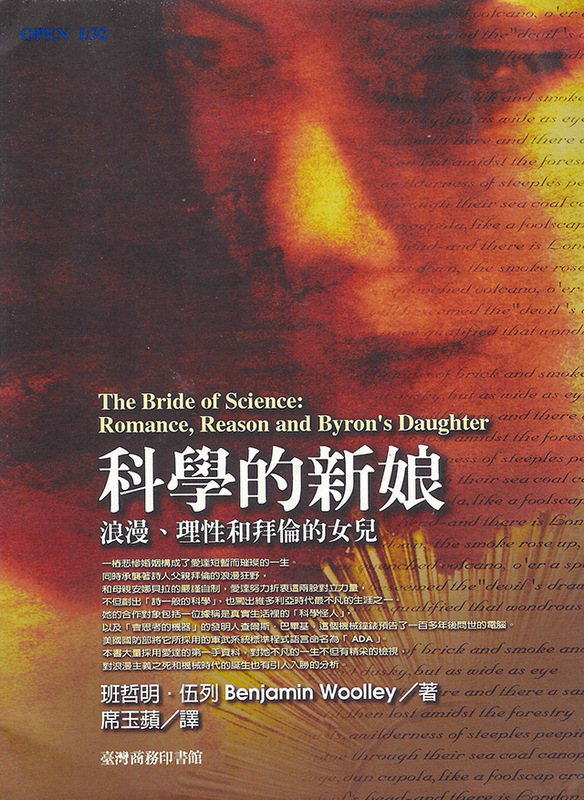 She was brought up by her clever but embittered mother, Annabella, Lady Byron, whose aim, Byron protested in lines addressed to his daughter, was to ‘drain my blood from out thy being’, to make her everything he was not – mathematical, methodical, moral, scientific. And Annabella’s efforts apparently succeeded. Ada rejected poetry in favour of mathematics, art in favour of science. 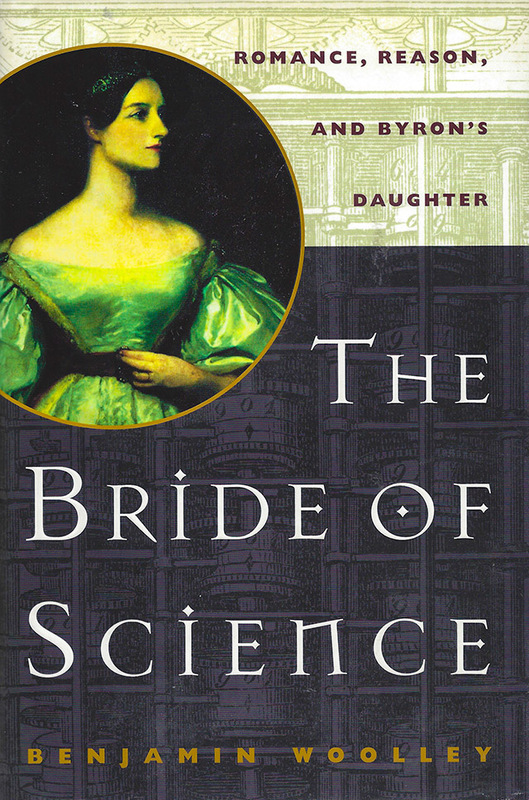 She worked with some of the most interesting and important scientists of the day, figures like Andrew Crosse, a researcher into electrical power who was said to be a model for Mary Shelley’s Dr Frankenstein, and Charles Babbage, the inventor of calculating engines. It was the latter collaboration that provided the connection with computers, as in 1843 she wrote a paper about Babbage’s most ambitious invention, the Analytical Engine. This paper contains the first published example of what could be called a computer program – written over a century before the emergence of the technology needed to run it. However, as we shall see, Ada’s scientific career took her far beyond an interest in mechanical computation. She used herself as a subject in experiments with dangerous new ideas – mesmerism, phrenology, materialism. She tested the limits of social and sexual conventions, too. She was flirtatious, outspoken and often shocking; she consorted with people at the margins of society as well as those at the top of it; she rebelled against the impositions of her gentility and gender; she yearned for financial independence, for fame, to escape the expectations of her peers, to become a ‘completely professional person’. She tried for all this at a time when so much was becoming possible. Her life spanned the era that began with the Battle of Waterloo and ended with the Great Exhibition – a period of barely forty years that saw the world utterly transformed. This was the age when social, intellectual and technological developments opened up deep fissures in culture, when romance began to split away from reason, instinct from intellect, art from science. Ada came to embody these new polarities. She struggled to reconcile them, and they tore her apart. Just as the formation of the earth and the evolution of life have passed through various eras and aeons – the Devonian, the Permian, the Triassic, the Jurassic – so has human history and culture: the Medieval, the Renaissance, the Enlightenment, the Romantic, the Victorian, the Modern. History relies on such categories, every historian adapts or questions them. Any work on the Romantic Movement considers whether there was ever any such thing, any analysis of the Victorian Age discusses its obstinate refusal to coincide with the reign of Queen Victoria. We even have ‘long’ and ‘short’ centuries. Some have argued, for example, that for historical purposes the nineteenth century began not in 1800 but in 1789, and did not end until 1914. It is right to be suspicious of these slices through the historical record. The divisions are not obvious and sometimes arbitrary. They are not like rings in a tree trunk or layers in sedimentary rock. Nevertheless, despite overlappings and interminglings, patterns seem to be discernible. Lines can be drawn, or at least lightly pencilled in. In the final decades of the eighteenth century and the beginning of the nineteenth, poems, paintings, journals and novels – the fossil record of cultural history – show a distinct change in character. Poets begin to write about new themes, thinkers to think of new ideas. These changes do not amount to a coordinated artistic or conceptual movement, more a ‘mood’, as one observer put it. 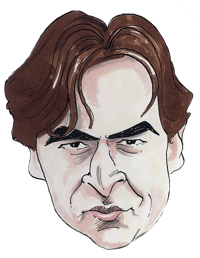 But what a mood – a real, raging passion, which we now know as Romanticism. Romanticism was a scream of protest and cry of anguish against a world emptied of spirituality – the legacy of that lower stratum in the rock face of human civilization, the Enlightenment. Religion in some quarters seemed to be in headlong retreat – the hand of God cuffed by the discoveries of Copernicus, Galileo and Newton. The Romantics were on the lookout for something to take His place, and alighted upon themselves. They discovered that, given free reign, their own imagination, a faculty previously dismissed as a mere species of ‘fancy’, could give them the creative power of any deity. They could invent new ideas, behaviours, moralities, worlds! Just as Prometheus, the mythological hero of Romanticism, brought down from the gods the divine gift of fire, so the Romantic poets brought humanity the divine gift of imagination. Artists were not the only ones to surge with this new sense of power. Scientists, too, began to believe that they could manage without God. Though centuries of repression at the hands of the ecclesiastical authorities meant that they were often reluctant to declare so openly, many were now convinced that the cosmos, the natural world, life itself were not divine miracles, but the mere flatus of physical mechanics. And, using the scientific method, they were ready to prove it. Thus we find mixed together in the sediment of the later eighteenth and early nineteenth century signs of new, nimble species of artist and scientist ready to challenge the dominance of the great dinosaurs of divinity that had ruled the world since the Middle Ages. We also find something else: a sudden and catastrophic environmental change. A new force comes into play, shaping the world in which these creatures live, accelerating their evolution. That force is technology, and the era that erupts out of it is the Victorian Age. We think of the period in which we now live, already dubbed the ‘Information Age’, as one of unprecedented technological change. However, the first decades of the Victorian Age saw transformations just as dramatic, if not more so – of time, travel, wealth, health, power and speed. This was when the first, fast, far-reaching public transport and communications systems emerged: the railway network, the postal service, the electric telegraph. This was when a person could for the first time travel from London to Edinburgh in less than a day rather than two weeks, and news could travel the same distance in an instant; when the urban population overtook the rural one; when London was transformed into the world’s first modern metropolis; when steam power enabled the mass production of everything from pins to newspapers; when state education, democratic government and public sanitation made their first tentative appearances. The effects of industrialization and mechanization were felt across all levels of society, each new development feeding another in a chain reaction that shook the world, and shakes it still. Most women of Ada’s class were insulated from these seismic shifts, but she felt every tremor. Even her body seemed to resonate. Her health was assailed by the diseases that defined the age, nervous disorders such as hysteria, infectious illnesses such as cholera. But it was in her response to the cultural climate of the time that she particularly captured what had come to be called the ‘spirit of the age’ – a phrase freshly minted for an era that seemed to be haunted with a sense of anticipation and uncertainty. The ‘two cultures’ divide between the arts and sciences is now generally treated almost as a genteel dispute, a matter of a slight misunderstanding. If only scientists were a little clearer with their language, if only artists were a little broader in their interests, one could be happily united with the other. But in Ada’s time, this division was more ominous, marking the boundary between two world-views that would soon be at war. 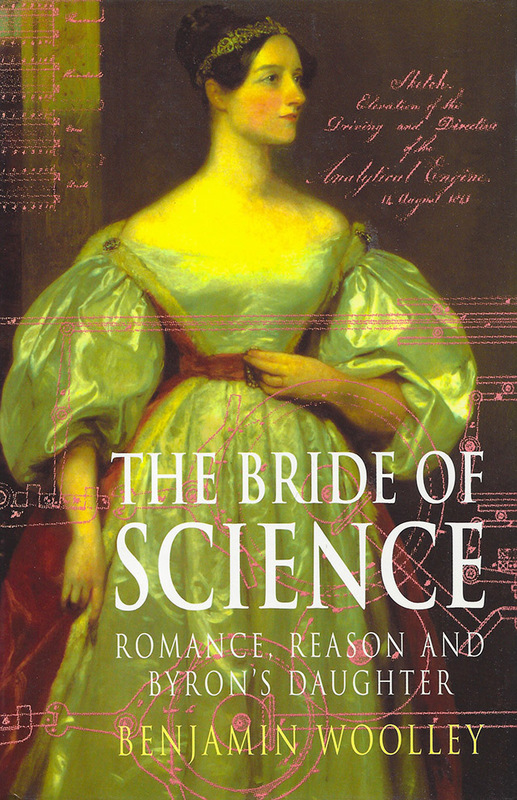 To begin with, most of the Romantics rather liked science. They saw it as a promising source of exciting new ideas for their work. Poets should follow in the steps of scientists, Wordsworth wrote, ‘carrying sensation into the midst of the objects of science itself’. ‘The remotest discoveries of the chemist, the botanist, or mineralogist, will be as proper objects of the poet’s art as any upon which it can be employed,’ he announced. Coleridge’s ‘common road’ was now reduced to a railway track, to be traversed without any hope of deviation or diversion. For their part, the scientists were generally surprisingly respectful of their artistic counterparts. However, they would not defer to them. No aspect of nature and life was allowed to lie beyond their reach. By the mid-nineteenth century, the physician and mesmerist John Elliotson was using Coleridge’s drug-induced poetical effusions as examples of the pathology of ‘diseased sleep’, proving that, to the scientist, the eccentric behaviour of poets no more transcended the scientific order of things than the eccentric orbit of planets. And a century before that the poets were already becoming concerned, Milton himself attacking the astronomers for their attempts to ‘gird the sphere’. But by the early nineteenth century the girds had become tighter than ever before. Technology meant that science was not just interpreting the world, but changing it. From now on, all a poet could apparently do was stand and watch as the laws of mechanics and mathematics, enacted by engineers and technicians, caused the scientific realm to materialize relentlessly before their very eyes. Subjective experience was to be subordinated to objective measurement, fictional imaginings to factual observations. The enduring attraction of the Romantics was that at this crucial moment they did not just stand and watch. They challenged the very idea of uniformity, of laws of nature as well as God, and threatened to see if they could break them. In so doing they kept art – indeed, some would argue our very humanity – alive. Ada’s life reveals the flow of this great tide of history just at the point it reached its spring. This book attempts to chart her struggles with the powerful eddies and currents it set in motion, one woman’s heroic swim across the Hellespont of history, through turbulent waters that in years to come would engulf us all.